No Fuss Event Hire have always taken pride and great care in the supply of cutting-edge products, excellence in customer service and a transparent relationship with their clients in not only supply but in service. With the introduction of temporary turf protection products superior to anything available globally to Australia in 2012, No Fuss have experienced enormous growth with the vision and dreams of Managing Director Geoff Tucker becoming more a reality in recent years than could ever have been imagined. Supplying stadium turf protection over many years, No Fuss were awarded their first national contract for the supply of stadium turf protection in 2017 for the TEG Dainty Guns n Roses Tour. This tour took No Fuss to QSAC in Brisbane, ANZ Stadium in Sydney, the MCG in Melbourne, Adelaide Oval in Adelaide and Subiaco Oval in Perth. The products and services provided were unlike anything that not only the stadiums, but the promoter and the production crew had experienced previously leading to No Fuss being recognised on a National level as a leader in the supply of turf protection products. With the reputation of the Company is spread largely by word of mouth and supported by strategic marketing following the National supply to the Guns n Roses tour, No Fuss have supplied to many stadiums including Central Coast Stadium for Lionel Ritchie, MCG and Suncorp Stadium for Bon Jovi, Adele at Optus Stadium, along with all shows held at MARVEL (previously Etihad) Stadium including Adele, Ed Sheeran, Justin Beiber, Taylor Swift, UFC, RnB Fridays to name just a few. 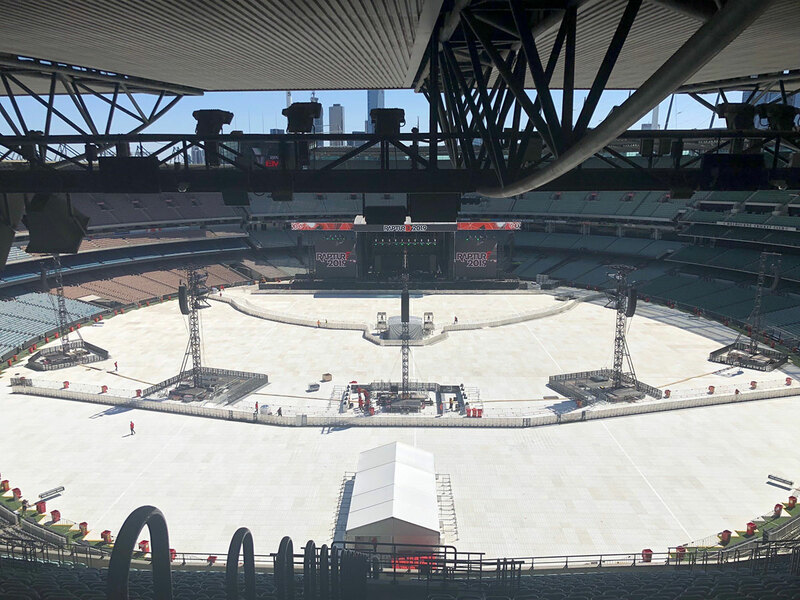 The 2019 season has been one for the record books, beginning with the National turf protection contract for Phil Collins (Suncorp Stadium, Adelaide Oval and AAMI Park), two Bon Jovi shows (Suncorp Stadium and MCG), the WWE at the MCG and Foo fighters, Taylor Swift and RMIT graduation at MARVEL Stadium. 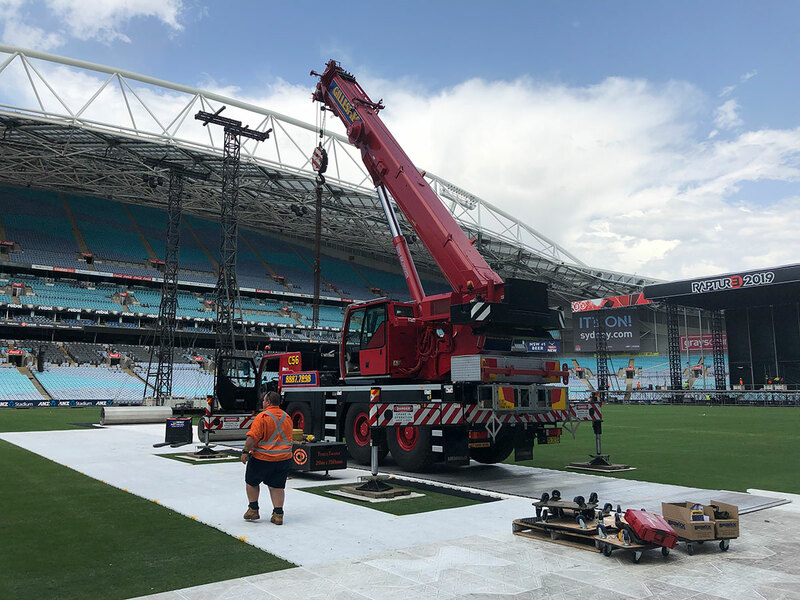 In the month of February, No Fuss Event Hire was faced with the enormous task of supplying Nationally to not only the Nitro Circus Tour but to the Eminem Tour of Australia. This undertaking was referred to as #7stadiumsin7days and #4statesin7days. DAY 4- Eminem @ MCG- 2,100sqm I-Trac, 16,700sqm Supa-Trac, 2x LD20 Rolls, 500m integrated edging, 110m integrated cable covers. Four 10m x 5m Merchandise Marquees with furnishings. Over 14 days 108 trucks were consigned, 20 flights taken and in excess of 5,650 hours worked on the ground. 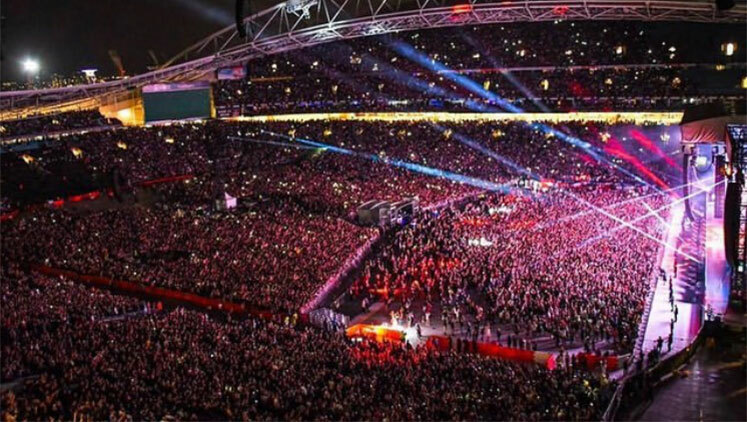 To say that the feedback from these stadiums and the promoters was positive would be an understatement. 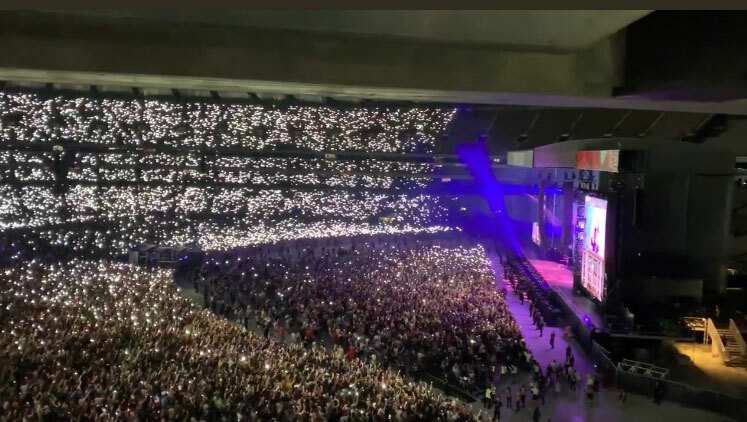 Eminem played to the largest crowd ever to attend a show at the MCG and the turf replacement was less than has ever been achieved. With in excess of 17,500sqm of turf covered at the MCG and 2,100sqm being drivable floor a result of less than 600sqm of turf replacement required is previously unheard of and certainly unexpected with five delay towers built and cranes on the field of play for in excess of 22 hours! All the while that we serviced #7stadiumsin7days our regular projects still progressed with success such as; the supply of temporary grandstands at the Avalon Airshow and Formula 1 Australian Grand Prix, the supply of temporary flooring products to the Moomba Festival, Victorian Caravan & Camping Show and the Avalon Airshow along with the supply of marquees and furnishings to Chinese New Year in the City of Melbourne and City of Monash, Watergardens Town Centre, Ulysses AGM and The University of Melbourne. The realisation of these dreams and superior supply and service would not be possible without the commitment and tenacity of the staff at No Fuss. With Geoff’s team of dedicated staff reflecting a culture that encourages teamwork, support and excellence that can only be attributed to leadership fostering quality and growth. The entire staff take this culture to all job sites no matter how large the job, remote the location or obscure the request from our clients. We will continue to show and strive for excellence in all areas, whether it be building marquees for Country Racing Victoria, building temporary or retractable Grandstands, the supply of temporary turf protection to stadiums and events or being the logistics partner of the Hire and Rental Industry Australia’s HIRE19!